(new) "C'est la vie !" Romain Gavidia is a mysterious person. Writer and journalist by day, he's better known at night as Romstick, a rapper member of the Skyzominus crew. 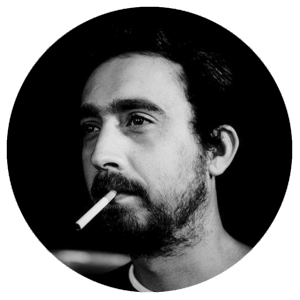 His EP "Du silence au vacarme" and the album he released with Mans, "En attendant le séisme", were both critically acclaimed in the french underground, still Romain Gavidia spends his time claiming he's just like anybody else. He knows that the bright lights are not for him and stays faithful to the life that gave birth to the acid ink he fills his pens with. This ink is precious and well kept, and when it can't help to pour out, Romain Gavidia knows it is for good reasons. And to this day, the readers and listeners have no doubt about it.